3 x Photo Papier *studioPRO2* Pearl 300 gr. 3 x Photo Papier *studioPortrait* 255 gr. 3 x Photo Papier *EXPRESSION* cool tone 255 gr. 3 x Photo Papier *studioDUO* lustre 250 gr. 3 x Photo Papier *studioSILVER* hochglanz 255gr. 3 x *Professional Matte Paper* 120 gr. 3 x *Professional Matte PaperDUO* 120 gr. 3 x *Professional Matte Paper* 180 gr. 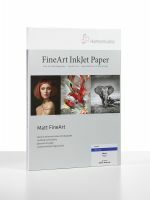 3 x *Professional Matte PaperDUO* 180 gr. 3 x *Professional Matte Paper* 230 gr. 3 x *Professional Matte PaperDUO* 230 gr. Die komplette Auswahl der Photolux Inkjetpapiere in DIN A4 als Sample Testpack Probe Discovery Musterpapier Testpapier-Set.